The Marketing on Mobile Awards return to celebrate the campaigns, brands and agencies at the forefront of the mobile industry. As one of the most engaging marketing platforms, mobile is constantly evolving to meet consumer demand for content, with that campaigns are ever evolving and breaking the mould. We think this deserves some recognition. We want to celebrate the brands and agencies delivering the best campaigns and strategies that are leading the way in mobile. QWASI Technologies from QWASI Technology on Vimeo. Brought to you by The Drum, the organisers of the successful and renowned Dadis and Social Buzz Awards, the MOMAs continue to identify the great work being produced on mobile and will reward those who are delivering effective strategies and campaigns. On May 11th 2016, Velux won the award for the Biggest Increase in ROI from a Mobile Campaign/Strategy. 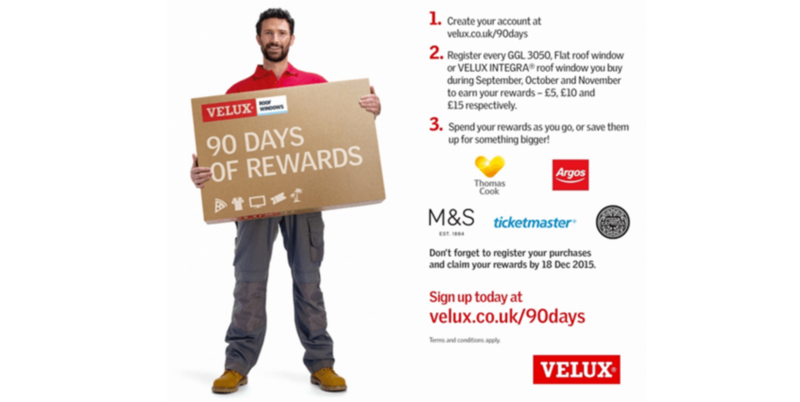 This loyalty program was built by QWASI alongside Velux’s agencies Cherry London, and MediaCom Edinburgh. Richard McArthur, Marketing Manager, VELUX. QWASI INNOVATION LABS is a SaaS company working with leading brands to innovate the customer journey using real time data. 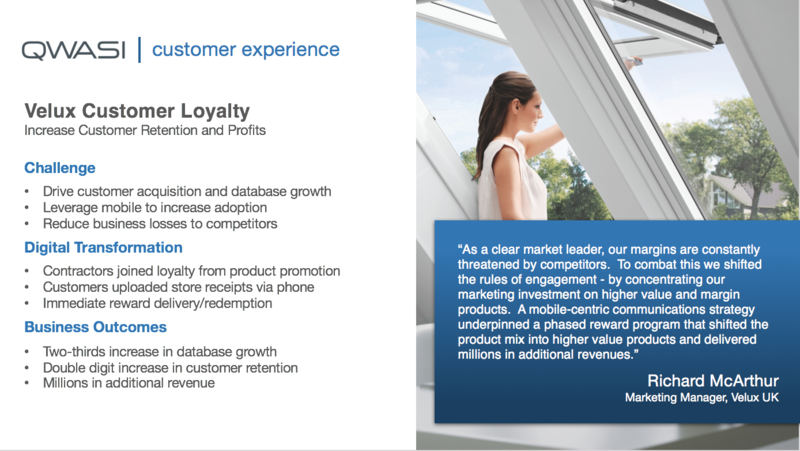 At the heart of QWASI’s offering is the desire to create remarkable customer experiences, leading to increased brand loyalty, higher retention rates, more effective customer service throughout the customer lifecycle.